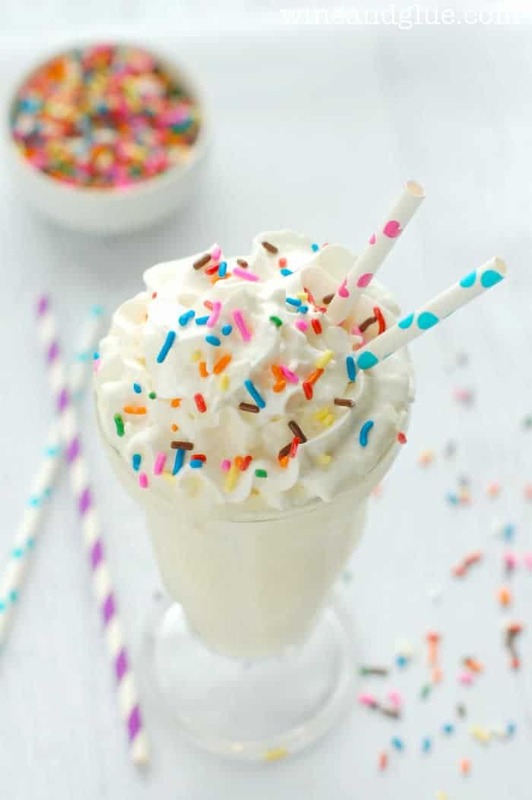 Funfetti Milkshake | What do you get when you mix a milkshake and cake?? Heaven. I’m so excited about this post! It’s got TWO amazing things in it. So, my due date for this little peanut is May 4th, which is exactly four days before my birthday. And after making this recipe, I have pretty much decided that it should be my push present to myself. One, it’s got sprinkles, so it’s perfect for a birthday. Two, it’s a milkshake, so it’s pretty much perfect for a woman who has just pushed out a child who undoubtedly will have the same giant head as her siblings. 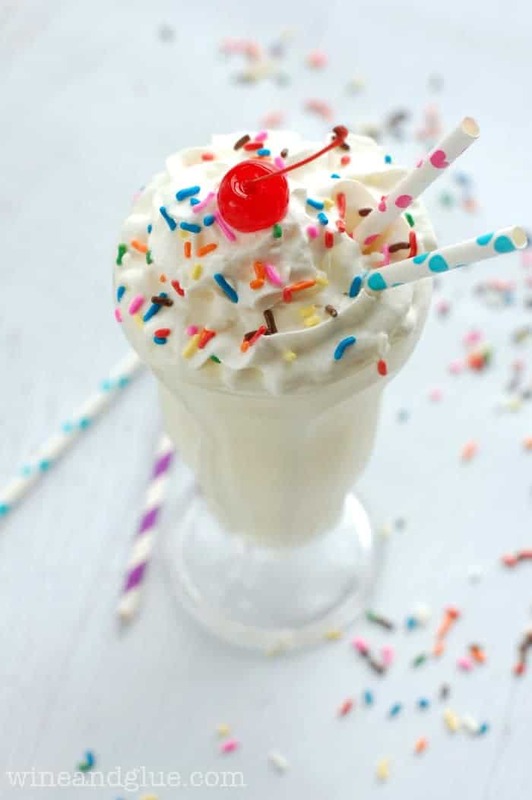 Three, and maybe most importantly, it is a milkshake that TASTES LIKE CAKE! Guess what’s better than a milkshake that tastes like cake (but only by a little bit . . . ). 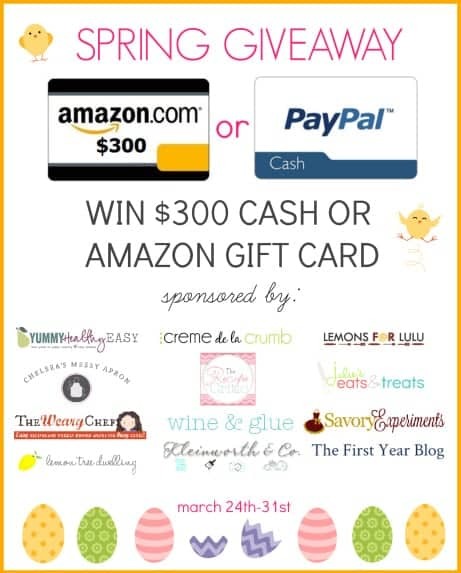 Some great bloggers and I have gotten together to celebrate the beginning of spring with an awesome giveaway! Three hundred dollars in Paypal cash OR a $300 Amazon gift card. Which would you pick? Make sure you visit some of the great bloggers who sponsored this giveaway! Blend together the ice cream, milk, and cake mix util smooth. Top with whip cream, sprinkles, and a cherry. there’s nothing more fun than a milkshake! You totally deserve this as a push present! And if it were me, I’d probably spike it too, lol. Please don’t judge! Totally support this as a “push” present! It looks and sounds amazing which I’m sure it is!! YUM! Oh, wow. This looks like heaven in a glass! i love anything “funfetti,” and if you add some ice cream it’s over the top. Pinned! That’s how I feel too Blair! Thanks for the pin! 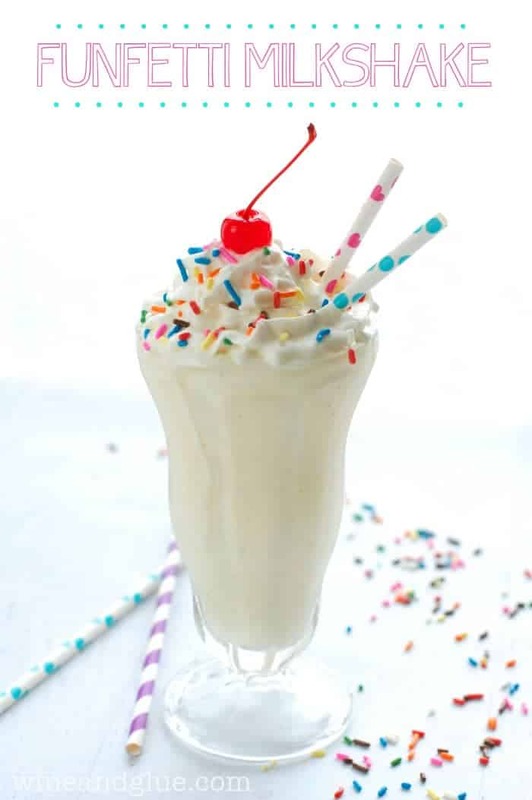 This milkshake looks so delicious – thanks for the giveaway chance, Lisa!